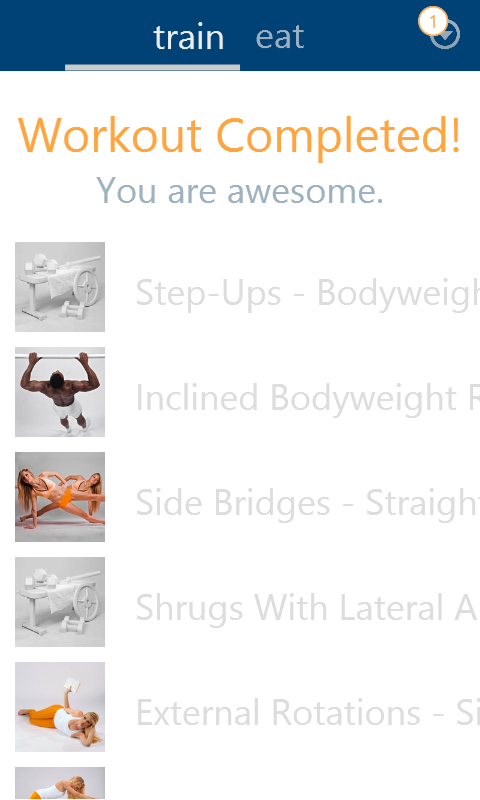 It is not everyday that you find a app that can give your personal trainer a run for his/her money. It is a fitness app that comes with great functionality and performance. It was already available for Android and iOS and now it is available for Windows 8 too. BodBot is an app that takes care of your diet as well as your daily exercises creating the required balance between the two. If you want to get in shape and want something easy to guide you with, BodBot is your thing. If you already have a diet plan and know your way around the gym then you can give this app a miss. But if you are just starting out and especially if don't want to go to the gym right now then BodBot is the right app to start this with. Download the app from the Windows Store. It is around 23MB in size. When you first open the app you would be prompted to create an account with BodBot. Enter your gender, enter your height, age and weight and create a passcode to protect your personal information in the app. This passcode will be asked every time you use the app. After this you need to tell the app your aim. Whether you are aiming to reduce weight, reduce weight and build muscle, build muscle, prepare for sports like Football, Basketball, etc. Then you need to tell the app if you are going to exercise at home or at gym. Then you need to tell how much you want to exercise and how much you have exercised in past. 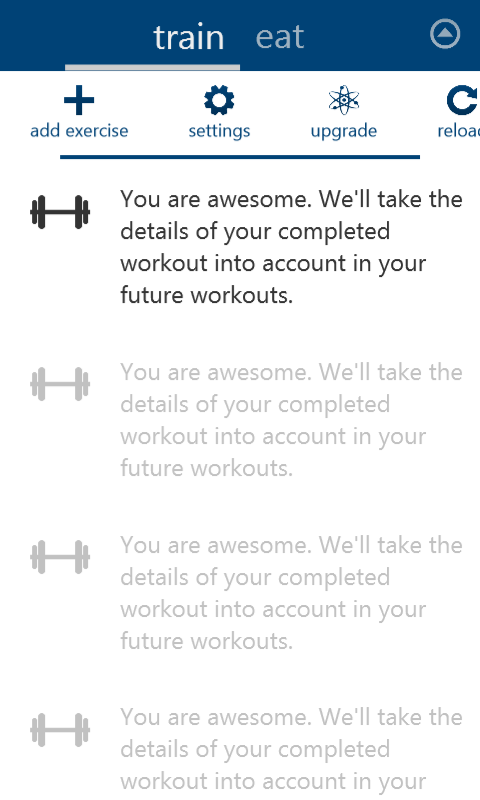 And at last tell if you want the app to plan your exercise schedule or will you select the days and time. Once you have given these details, BodBot will create a exercise plan for you that will match your goals you gave to BodBot. Each day your exercises will be varied focusing on different parts of your bodies. All these exercises will have repetitions and times for exercise and rest in between a rep. If you think the exercise is too heavy or light for you, you can adjust it according to your capabilities. To help you do the exercise properly you are provided with proper instructions- how to get set up for the exercise, how to do it and in some cases how you can increase the efficiency of the exercise. Your daily routine is recorded online and you can find your progress on www.bodbot.com. Although the basic app is just fine in most cases, you can upgrade the service for $10 per month which by the way is very costly for Indian market where the cost in a gym varies from $10 to $40 for even the best gyms. The might like to take a look the prices for the Indian market if they want people to upgrade to the paid service here. The paid service unlocks some of the exercises which are not available in the basic app. Get you free BodBot app now from Window phone Store.